Ohio native Ervin J. Nutter enrolled in the undergraduate program in mechanical engineering at UK in 1934. He later dropped out to go to work for, among other companies, Procter and Gamble. During this time he became the youngest person ever in the state of Ohio to pass a professional engineer’s license exam. After a job promotion went to a colleague holding an engineering degree, Nutter moved his family back to Lexington where he convinced UK administrators to allow him to enroll in the middle of the semester. He earned his bachelor’s degree in mechanical engineering in 1943. Mr. Nutter earned all of his college expenses by working on campus primarily as an electrician. He was paid $2 per game by UK Basketball Coach Adolph Rupp to ensure the lights at Alumni Gymnasium, where the team played its games, stayed on. During Mr. Nutter’s watch, they always did. After graduation, he went to work as a civilian engineer in the Air Force Equipment Laboratory at what is now Wright-Patterson AFB near Dayton, Ohio. He was in charge of testing Air Force aircraft and equipment for performance under adverse conditions and eventually became its only civilian branch chief. In 1950 with an initial investment of only $360, Mr. Nutter established the Elano Corporation, a research and development company in Xenia, Ohio. Over the years, he developed Elano and its subsidiary companies into leaders in the manufacture of precision parts, castings and other components used by the aerospace industry. Elano and its affiliate companies were sold to General Electric in 1985. Throughout the years, Mr. Nutter remained a staunch supporter of the University of Kentucky. He served as the president of the UK National Alumni Association and was a chair of the UK Development Council. He was one of the first Fellows of the University and was a member of the College of Engineering Quadrangle Society. His financial contributions over the years made him one of the University of Kentucky’s most generous alumni. He received many awards among them induction into the UK Hall of Distinguished Alumni and the UK Alumni Association’s Distinguished Service Award. He was one of the original inductees into the College of Engineering’s Hall of Distinction in 1992. Mr. Nutter was a farmer, airplane pilot, conservationist and sportsman, and was honored for his work with the Boy Scouts, Dayton Air Institute, Leukemia Society of Dayton and the YMCA. He received numerous commendations and awards from the United States Air Force, Navy and the Atomic Energy Commission. 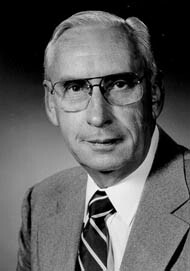 In February 1997, Mr. Nutter and his family donated $1 million to the College of Engineering to establish four Ervin J. Nutter Professorships in Mechanical Engineering. These professorships play a crucial role in enhancing Mechanical Engineering’s efforts to recruit and retain outstanding faculty members. Mr. Nutter had previously given the University $2.5 million which funded the design and construction of the Nutter Fieldhouse and the E. J. Nutter Training Facility. Mr. Nutter passed away on January 5, 2000.